_ This art form is interesting, not only because of the many designs they come in, but because of the many places on the body they can be found. 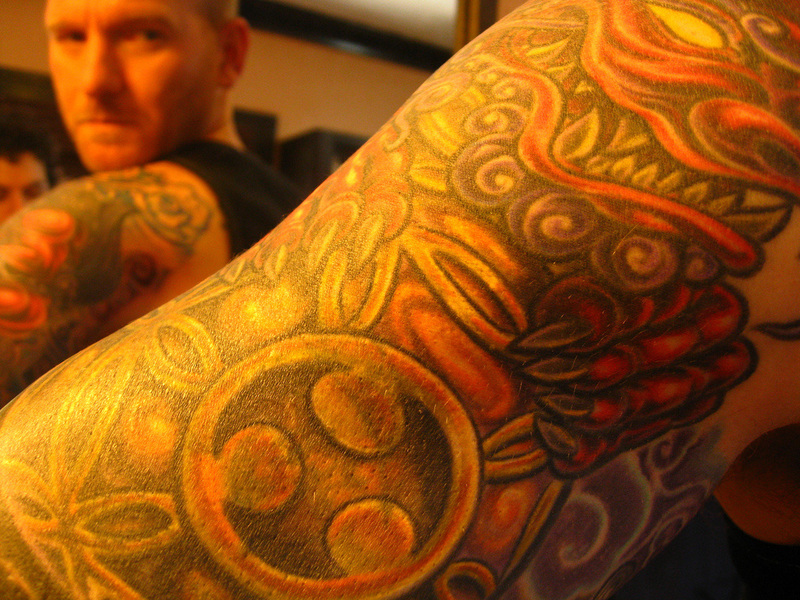 Tattoos are a design applied to the body when ink is introduced beneath the skin in a pattern. Tattoos can be of people, animals, logos, names, cartoon characters, or random art. Tattoos can be removed through laser therapy or by grinding it off (teeth tattoos). 1. On your back : probably one of the most popular places for a tattoo. There is a lot of space for a creative tattoo artist to work. 3. On your wrists in the design of a bracelet or other form of jewelry. 5. On your eyebrows : more popular with women who prefer a permanent alternative to shaving the eyebrows and using an eyeliner. 7. On your lips : On the inner and outer parts of your lips. The tattoo on the outer lip may be temporary. The one on the inner lip may fade quickly. 8. On your teeth : On the crown of your teeth and may face the lip or the tongue. Procedure is painless and the tattoo can be easily removed.